ACCD is holding a related public hearing on Tuesday, June 3, from 5:30 to 7 p.m. at Townshend Town Hall. View the presentation online after June 3; submit comments in writing by June 13 to ACCD.WCGP@state.vt.u. For more information, or to view the presentation, visit accd.vermont.gov/business/WCGP. 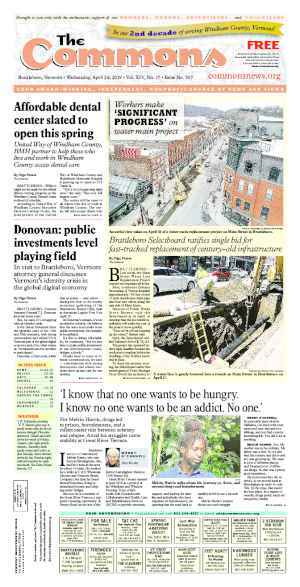 TOWNSHEND—The state seeks to leverage the $10 million in Windham County economic development funds from Entergy for a period far beyond the fund’s initial five-year lifespan. In everyday English, this is called stretching a dollar. The Agency of Commerce and Community Development announced last week that it will turn the bulk of the annual $2 million payments that Entergy will make to the state of Vermont over the next five years into a loan program. “We’d like to see it provide as much leverage to this area as possible,” said Commerce Secretary Lawrence Miller. The announcement came May 22 during a preliminary presentation at the Townshend Town Hall on the agency’s process for doling out the Windham County Economic Development Funds. Audience members reacted with surprise. Some applauded the news from ACCD. It had been expected that the funds would take the form of a grant-only program. Miller said the structure of the loans is still in play but he hoped to develop a low-interest program that would not hang excessive debt around the necks of businesses. The goal of the funding program is to support economic activities that ease the county through the transition of losing one of its largest employers. 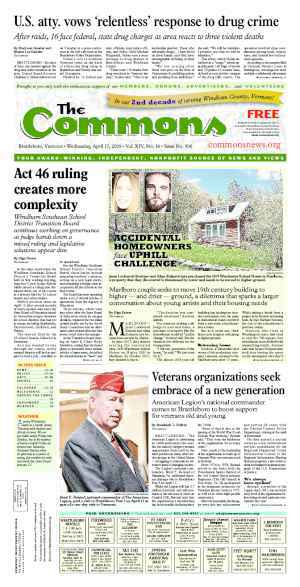 Individuals, non-profits, and municipalities in Windham County can apply for the loan, and in some cases grant, program later this year. Most of the funds will be available in the forms of loans for small businesses. Grants will help fund infrastructure projects within municipalities, such as extending water and sewer lines. Each year, about 10 percent of the funds, or $200,000, will be available for planning, feasibility studies, and marketing activities. The ACCD lacks the staffing to manage a loan program, said Noelle MacKay, commissioner of Housing and Community Development, which is part of ACCD. Instead, the ACCD will partner with agencies with existing loan programs, such as the Vermont Economic Development Authority, she said. MacKay said that the development money comes with few rules, so the agency is aiming to use the money thoughtfully. Priorities for funding projects will focus on projects in Windham County that link directly to goals and objectives in the Southern Vermont Comprehensive Economic Development Strategy (CEDS) developed by Southeast Vermont Economic Strategies (SeVEDS) through a public process. Proposed projects should also lead to job creation and retention while not duplicating existing economic development efforts. The ideal projects will also leverage additional funding sources. Goals listed in the CEDS document include reversing the county’s population decline, increasing the average annual income to $42,130, improving the quality of the workforce, and raising household income relative to surrounding areas. According to MacKay, the CEDS goals are very broad. If a project can’t fit into them, then it’s probably not a strong economic development project. The state has granted spending authority for the funds to the ACCD. Miller and MacKay presented the agency’s initial process to members of the Windham County legislative delegation, Windham Regional Commission Executive Board members, and the Windham Region CEDS Committee. The agency hoped to gather feedback and field questions before formally unveiling the application process to the public on June 3. 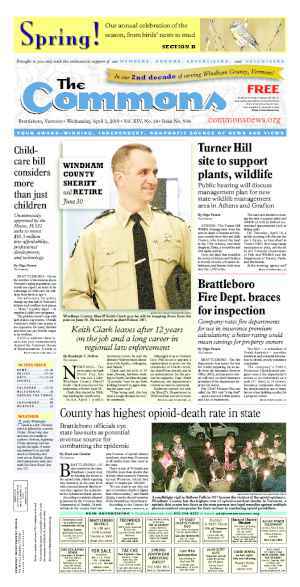 As part of an agreement with the state signed last December, Entergy promised to pay $10 million over five years to support economic development activities in Windham County. The county has hosted the Vermont Yankee nuclear plant for more than 40 years. Entergy will close the plant later this year. The 650-megawatt reactor is one of the area’s larger employers and pays some of the area’s highest wages. The economic ripple of the plant’s pending closure has been the focus of many discussions in a county already struggling against the currents of a sluggish economy, a decades-long recession, and some of the lowest wages in Vermont. A team at the ACCD is still developing the loan and grant program: its priorities, criteria, and application material. At this early stage, the criteria include outcomes such as job creation and retention, assistance to those expected to lose out in VY’s closure, the applicant’s capacity and experience to carry out the project, and coordination with local and regional planning efforts. Applicants will also need to submit letters of support, an organizational and project budget, and a recent financial statement or audit. There will be two application rounds a year. Although this is subject to change, the application process will open early summer with the first round of awards available in the fall. He added that he has pledged that the ACCD will not tap any of the Entergy money to pay for additional staff or administration. The audience peppered ACCD staff on the finer points of the funding applications. Most of the questions focused on what types of activities the money could fund and which local organizations had authority in the process. Some audience members said they prefer the Entergy funding support projects rather than bolster the ranks of existing organizations. Other audience members disagreed and said they hoped the funding could help build capacity. Laura Sibilia, director of economic development for the Brattleboro Development Credit Corp., and a SeVEDS contact, pointed out that the county had an immediate need for job creation and retention. But, she added, local economic development organizations such as SeVEDS lack the robust systems that support economic development. She said she hoped the agency would make room for providing funding for activities outside of the county’s immediate needs. State Sen. Jeanette White, D-Windham, asked how the agency would score capacity building that could create hundreds of jobs in the long-term against projects that might create 10 jobs immediately, and asked whether funding capacity would create more long-term growth. Audience members pointed to a number of plans and studies sitting on shelves in the county, such as a Brattleboro arts “atlas,” and asked how the agency planned to knit the VY grants into existing plans. It was at about this stage in the rapid questioning that MacKay paused to take a number of deep breaths. Tom Buchanan, Londonderry’s representative to the Windham Regional Commission, requested that projects also be considered against goals in the Windham Regional Plan, which a number of towns vetted. State Rep. David Deen, D-Westminster, added that impacts on, or the protection of, natural resources should also be “a background element” in the application process. He also directed ACCD to the Windham Regional Plan. 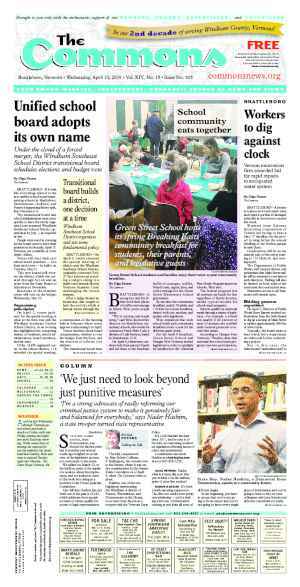 Some audience members questioned why the funding authority rested at the state rather than local level with an organization such as BDCC, or its sub-group SeVEDS. Miller noted that as former BDCC Executive Director Pat Moulton takes over as commerce secretary next month, it could raise problematic conflicts of interest. He added that the state decided it was best to keep the application one step removed from the county level. But, Miller added, Entergy agreeing to fund economic development in the county rested on SeVEDS and the CEDS document. SeVEDS is anticipated to remain involved in the grant process. According to the ACCD, application materials will be available by July 1. Originally published in The Commons issue #256 (Wednesday, May 28, 2014). This story appeared on page A1.